Kimberly Tom loves to eat and take pictures of food (and sometimes herself). She dines out with her boyfriend, she travels for work, and she shares her takes on local food. In addition to her photo-tastic food blog, she is also a contributor to Nonstop Honolulu. 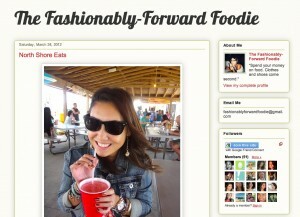 Check out The Fashionably-Forward Foodie, or you can also follow her on Twitter at @kimtomkimtom.